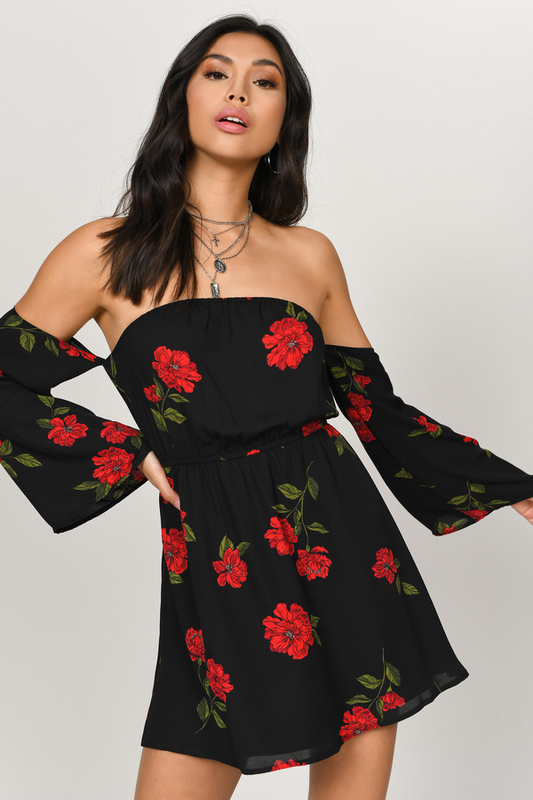 Check out Tobi's Marisa Floral Print Skater Dress Our Marisa Floral Print Skater Dress features off the shoulder flare sleeves and a dark floral print. Pair with black booties and knee high socks. 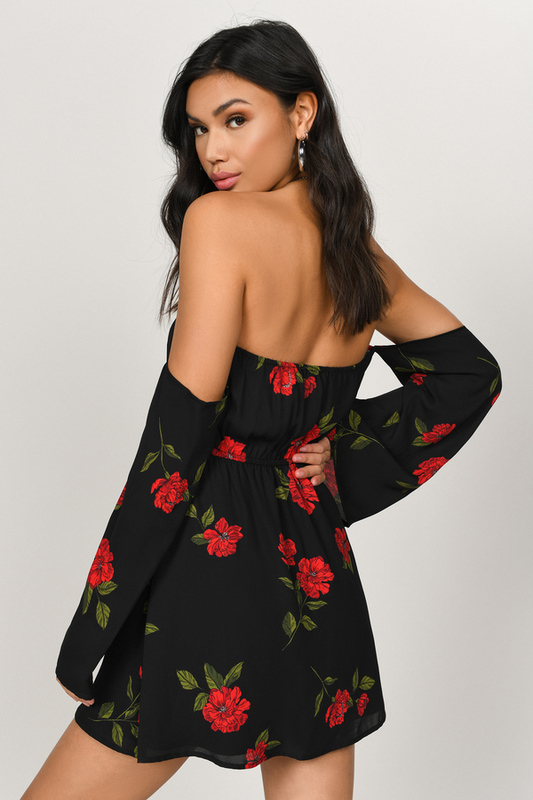 Our Marisa Floral Print Skater Dress features off the shoulder flare sleeves and a dark floral print. 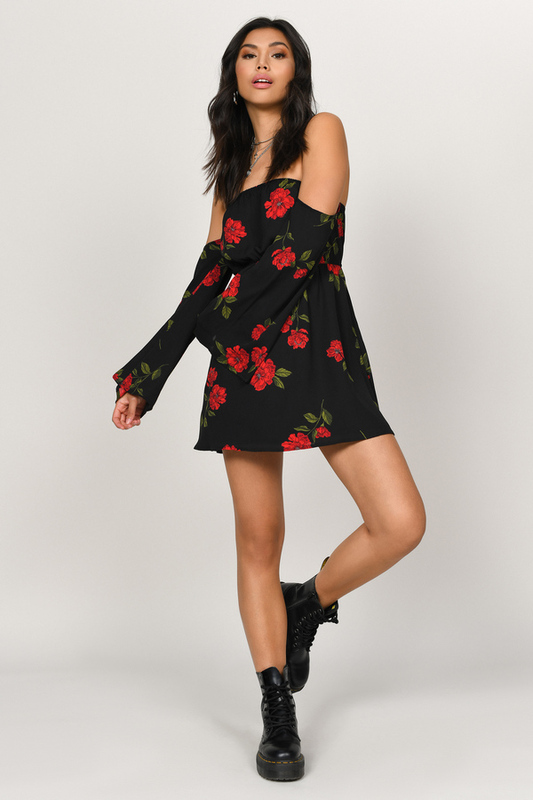 Pair with black booties and knee high socks.